This interview is with Sweden's Vera Oredsson. Vera is 87 years old, and as sharp and intelligent as anyone you'll ever meet. As a young girl she lived in National Socialist Germany, and was even a part of the BDM organization. She participated in the great rallies that we can only dream of. 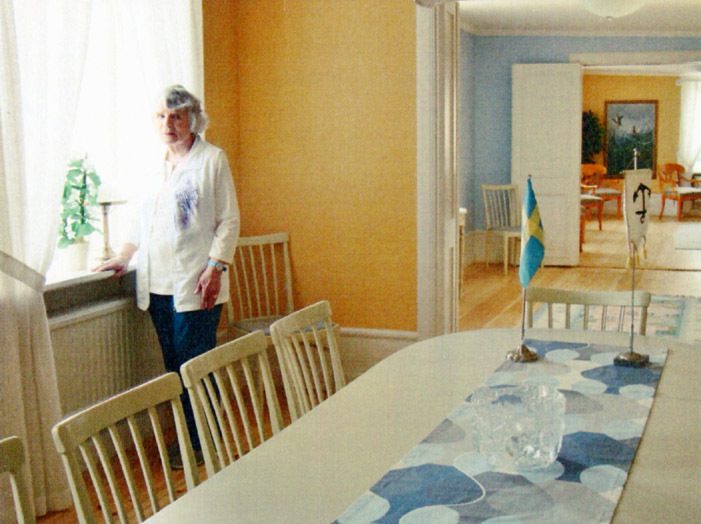 In her postwar home of Sweden she rose to become Sweden's first female political party leader. She has stuck by her National Socialist beliefs firmly her entire life. Opposition has only made her fight harder and the years have only strengthened her resolve. She is not just a believer, but a lifetime warrior for truth. She is truly a role model to us all and it was a great honor to talk with this wonderful human being! * Extra special thanks to our comrade Amir for his selfless work translating our questions to Vera into Swedish, and then translating Vera's responses into English. [Mourning the Ancient] Can you tell us any important memories you have of living in Germany during the Third Reich? 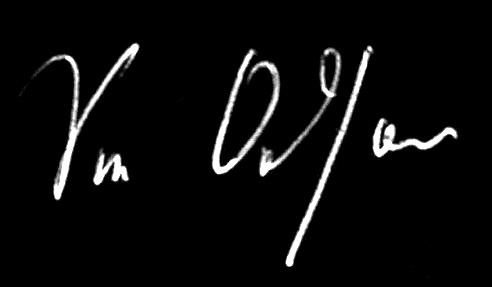 [Vera] My greatest uplifting memory I have is from May 1st, 1938 in the Berlin Sportpalast when I was a member of Jungmädel (HJ) as ten-year old. It was a chilly spring day but the sun was shining and warmed our freezing bodies in our thin white blouses, as we belonged to the group that couldn't wear our brown jackets. The brown jackets formed the word "GROSSDEUTSCHLAND” after the annexation of Austria. We who formed the white background were a bit envious – but the sun came ---- and the FÜHRER – what an ovation – what a joy, what a togetherness that simply could not be described. No hysteria like the pop groups of today, but the joy that came from the inside, our thankfulness. You see, before 1933 Berlin was a terribly immoral den of pedophiles and gays mixed in with the symptoms of the unemployment and the Communist assault. Thereon, the suffering and the decay. Dr. Goebbels made Berlin a safe, moral city – and did so FAST. Life-affirmation through Adolf Hitler came back after the defeat of the First World War. [Mourning the Ancient] How were your experiences in the Bund Deutscher Mädel? [Vera] My time as Jungmädel to BDM was only positive. 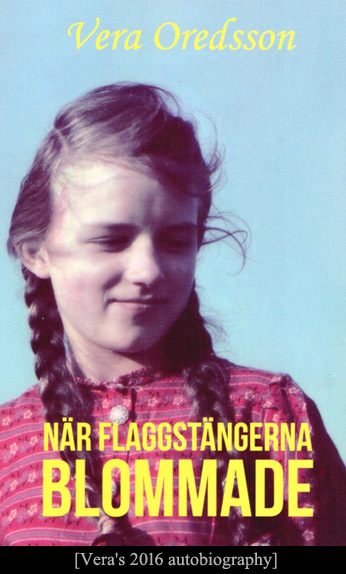 It was a"Folkgemenskap" ("Volksgemeinschaft", or Folk/people solidarity) that we were raised in. For Christmases we assembled toys for the less fortunate Germans abroad. Before this the Christmas gifts were sent to Austria. Singing, domestic science, sports, hikes, every now and then marches with pennants and music. Those were our activities and not like our Jewish media states, an everlasting plodding of MEIN KAMPF – some short initial phrases, admittedly, we read from the book, but not all the time. [Mourning the Ancient] You took over leadership of the Nordic Reich Party (NPR) from your husband from 1975-1978. Can you tell us what it was like being Sweden's first female party leader? [Vera] I didn't take over the leadership, but Göran gave it to me surprisingly during a ceremony at the statue of Charles XII. The background was that some members threw a smoke bomb in a cinema which was mocking HITLER through the film "Springtime for Hitler". Our Party was almost labeled criminal by the mass media. To distance ourselves from this label, Göran wanted to do something drastic and declared me the first female Party leader to turn the attention away from the scandal. It worked. May I conclude that without Göran Oredsson, I would have been an undistinguished person. I usually say that my National Socialist conviction occured through my experiences in Germany from 1928 to 1945, while Göran was BORN a National Socialist without influence in a small village in Skåne [a region in southern Sweden]. We were a team for 48 years – until skeletal cancer took Göran's life 2010. I can say it is the fault of Democracy. You know, pesticides were forbidden in NS Germany and the factories moved to other countries like Sweden. These deadly chemicals were sprayed above the trees throughout the orchards in Skåne and the youngsters were WITHOUT any form of protective gear. They received a little money [restitution-ed] – but these youngsters didn't reach above the age of 50-60 years, the ones who died of the same cause as Göran. While Göran didn't consume tobacco, he survived several years longer than his comrades. [Mourning the Ancient] When I saw the quote in your interview with ETC in 2014, 'Jag är nationalsocialist in i graven' ('I am a National Socialist to the grave'), it gave me strength and inspiration. As a matter of fact, you are an inspiration to National Socialist women all over the world. How have you been able to keep your beliefs all these years? [Vera] My NS belief I retained due to all the lies and false propaganda in movies among other things, like my conviction to Nationalism and Socialism through "Folkgemenskap" without class conflict. For example: The lie being spread that Hitler wanted to take over Poland – like that, without reason. Nothing is mentioned about the terrible persecutions of the Germans who begged for liberation. I describe these in my book "När flaggstängerna blommade". I can never refrain from hating those who sabotaged the Third Reich during the war, bragging about their exploits in our media. WHILE we who fought with the rescue missions after the bombings, dug tank traps and trenches towards the end of the war in West Prussia against the Russian assault. [Mourning the Ancient] Have you had any experiences where you have been treated badly for your political beliefs? [Vera] Certainly we have shared our part of being hated and misunderstood. Our car got smashed, failed arson in the flat, fake orders of products and ambulances etc. One thing I want to tell you about. We were to hold a meeting in "Folkets Hus" ("People's Hall") in Gothenburg on December 3, 1983. Göran was to give a speech, with me making the opening speech. Our members watched the Triumph of the Will first. We were still in the hotel, but heard on the radio that a large mob had assembled and were shouting and protesting. Göran headed immediately to support our youngsters. He pushed through the crowd to reach the hall in "Folkets Hus" but was recognized, the cries resounded: ”Beat him to death”, and I understood by the accent that this was something "non-Swedish" in some way, and they dragged along Communists, gays and Anarchists. I made it for a while in my Palestine-scarf as camouflage, but messed up severely. I thought I found a comrade with a nice jacket with blue and yellow colors. It turned out to be that the wearer was part of the mob. 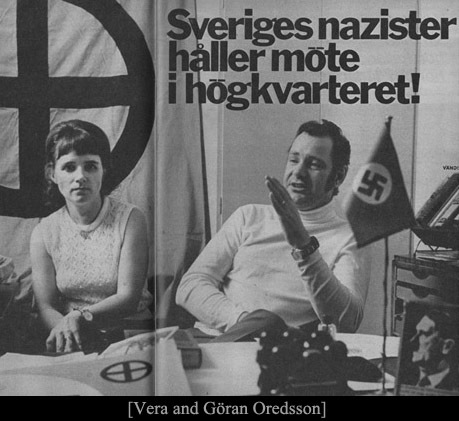 He shouted out: "Here we have a NAZI, VERA OREDSSON!! ", it could, in the worst case, have been my death. I prayed to GOD and the FÜHRER – a bottle hit my head but the scarf protected me. I prayed again so that everything would occur quickly so I could avoid being tormented – then suddenly two huge police officers carried me in to a car that had pushed through the crowds. I asked for my husband and they told me that he was also saved by colleagues. Our dramatic reunion resulted in a forever wonderful marriage that lasted until Göran passed away to HIS heroes 2010. [Mourning the Ancient] Things have changed drastically in Sweden, and all over the Western world, since WW2. How do you see the future of the world? Will it get worse before it gets better? [Vera] Certainly I am worried! Sweden especially is in the danger-zone of the greatest degree through the Jewish-imposed trend of miscenegation and immigration of Muslims through the media. This occurs without regard to the Swedish people and where authorities, in lots of cases, must stand back. It can apply to jobs, housing, social benefits etc. I, myself am a member of the NORDIC RESISTANCE MOVEMENT and with its growing youth connection to the National Socialist ideology can stop this dreadful trend. [Mourning the Ancient] Thank you Vera!! We at MTA truly admire and respect you... Do you have any final thoughts for our readers? Can you give us any advice? [Vera] The advice which I always give is that the National movements shall NOT expend energy fighting or slandering each other due to so-called reasons of prestige, but instead focus in the struggle against those who want to destroy the White Race. UNITE and do not get hung up on irrelevant details as long as they don't deviate from the basic concepts.